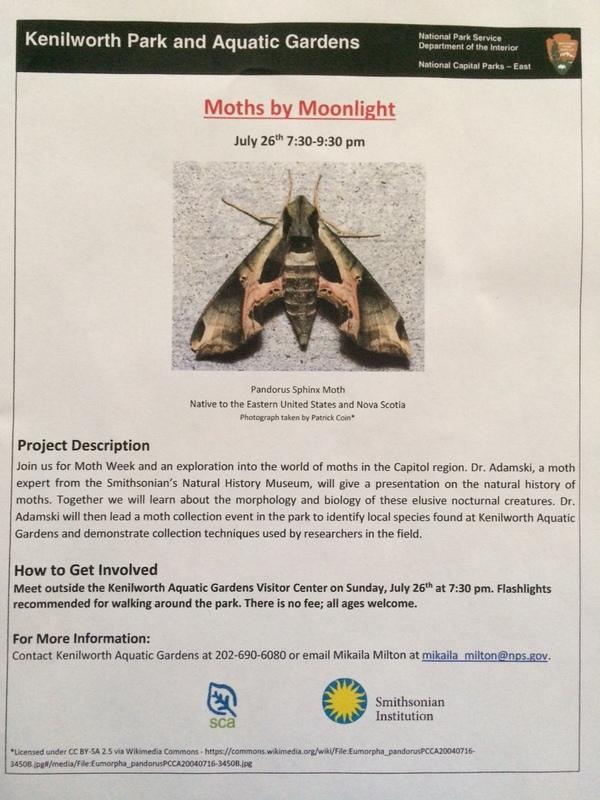 Kenilworth Park and Aquatic Gardens will be partnering with the Smithsonian’s Natural History Museum for an evening event on biology, collection, and identification of local moth species. The event is free and open to the public and will be held this Sunday, July 26th from 7:30 pm – 9:30 pm. Flashlights are recommended. See the flier below or contact Kenilworth Aquatic Gardens at 202-690-6080 for additional information. Posted on July 25, 2015, in Uncategorized. Bookmark the permalink. Leave a comment.